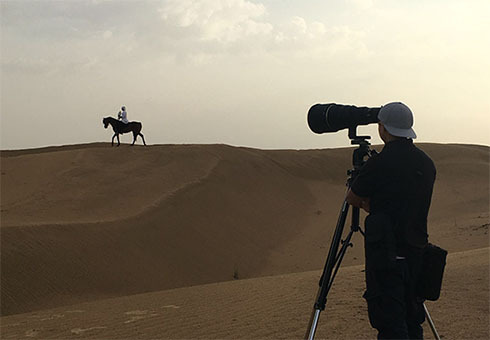 Due to the prominent position falcons hold in Emirati culture, they are in constant demand for various media productions. Wild Flight has extensive experience in this field. Whether for a film, television commercial or photo shoot, we have a perfectly trained feathered star available to add a touch of magic to the set. Birds are accompanied by an experienced handler and our “actors and actresses” are guaranteed to please even the most demanding director!